Mr. 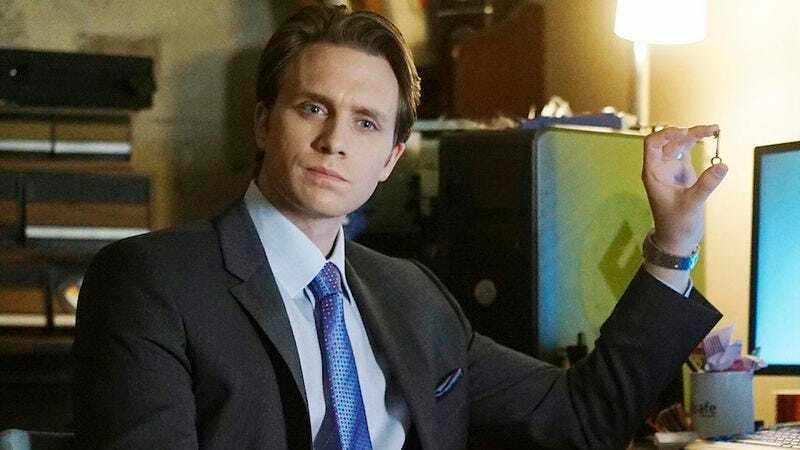 Robot star Martin Wallström isn’t branching out too far for his next project. The Swedish actor, best known for playing corporate tech genius Tyrell Wellick on that USA drama, will next play an “app entrepreneur” in a new sci-fi indie movie called Parallel. The Hollywood Reporter has a plot breakdown for Parallel (not to be confused with the Netflix film Parallels), and it somehow sounds both wholly original and overfamiliar: Wallström and his fellow young app entrepreneurs “discover a mirror in the attic of their rental house that’s a portal to parallel universes, with a time differential that makes it possible for them to access the future of these alternate worlds and bring it back home.” The group uses the portal to “make a fortune off of tech that doesn’t yet exist in their present world.” And while the synopsis doesn’t hint that anything goes haywire, we’re going to guess that happens, too. Other than Mr. Robot, most of Wallström’s previous work has been in Swedish film and television. He is, however, set to star as the male lead in an upcoming World War II drama called Ashes In The Snow. There, he’s cast not as a bro-y tech type, but as a Soviet officer who befriends a 16-year-old captive played by The Diary Of A Teenage Girl’s Bel Powley. Either way, suits and severity seem to be Wallström’s bread and butter. There’s no release date yet for Ashes In The Snow or for Parallel, which is written by newcomer Scott Blaszak and directed by Mexican filmmaker Isaac Ezban. Mr. Robot, meanwhile, will return for a third season sometime in 2017.